" Mr. Hervé Nadeau Prop." 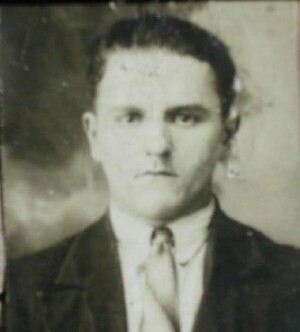 Mr. Hervé Nadeau 1930. 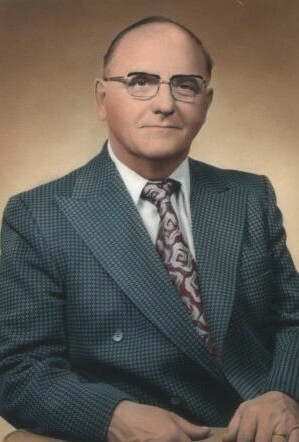 He first start the "Plessis Dairy" in 1944. 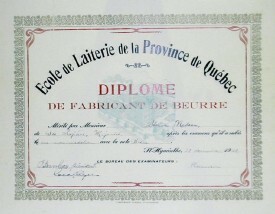 Certificats " Essayeur de lait " 1930 and " Fabricant de beurre " 1931. 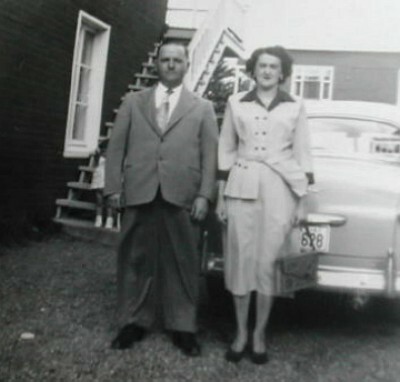 In may 1944, Mr. Hervé Nadeau was already making butter and cheese in Ste-Sophie. 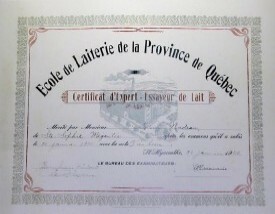 In 1931, he graduated from St-Hyacinthe dairy school as "Essayeurs de lait" and "Fabricant de beurre". Then in 1944 hi decided to start the first dairy in Pessisville, he called Plessis Dairy that was situaded at 1427 St-Luc street. Married to Laurette Giguère, they had three children named; Gisèle, Florence and Yvon. Mr. Nadeau worked a few years to build a small business that he sold to Mr. Laurenzo Labrie. Mr. Labrie kept the dairy for a few years then he sold it to Mr. Roger Tremblay. Again, Mr. Tremblay had it a few years and sold it to Mr. Fernand Beaupré. 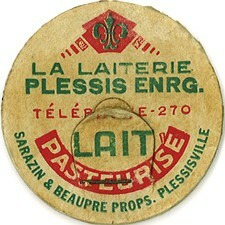 In 1954, Mr. Beaupré associated to Mr. Damasse Sarrazin, sold the "Plessis Dairy" to VIGNEAULT brothers. Mr. Hervé Nadeau and his spouse, Mrs. Laurette Giguère.